If you need to sell your house fast, or you can’t sell it conventionally, we may be able to help you. It doesn’t matter if you’ve tried unsuccessfully to sell your house before, or if it needs a lot of work, or if you’re in a tough situation financially. We’re real estate investors that specialize in fast solutions. If your future is in jeopardy and you must sell, you NEED to contact us. We’re fast, fair and reliable. Who do you trust to sell your house FAST? Do you really think your local real estate agent can get the job done? The average home takes many months to sell. How much time do you have? That’s the average house… is your house average? Or does it need a little bit of work? If your home is in less than sterling condition you could be waiting awhile… maybe a long while… if you leave it up to your local real estate agent. We can give you a written offer on your house that is quick, fair and reasonable! We won’t keep you hanging, wondering whether we’ll buy your property. You need quick solutions and you’ve come to the right place! We specialize in creating solutions to real estate problems. In the time it takes your real estate agent to return your phone call you could have a written offer. Nothing. 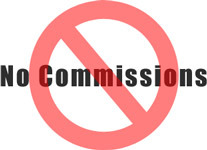 We don’t charge you any nonsense fees or real estate commissions. We are different from real estate agents… we’re not looking to “list” your house. We have buyers lined up and ready and to buy a house from us. These aren’t tire kickers or window shoppers. We’re talking about people who want and need to buy… quickly! We’re a network of like-minded private investors with the resources and the dedication to solve your problems… TODAY! We understand the value of a dollar, and how hard you work for your money. As a result, we WON’T stick you with nonsense fees or real estate commissions. We get paid by our buyer when we sell the house to them. We can help almost anyone! We’ll assess your INDIVIDUAL needs and CUSTOM-tailor a solution for you. We won’t give you some generic assembly line solution that might work for somebody else. We’ll custom fit a solution for you that makes sense and is sensitive to your needs. To do that, though, we need your cooperation and honest information. Foreclosure? – You aren’t alone. Millions of people are in the same boat, desperate for answers. Job Loss? – The economy is growing cold and jobs are disappearing. Relocation? – If you need to move quickly, whether to be closer to family, for a new job or job transfer, etc., you need quick solutions, not somebody who wants to play phone tag or take an early lunch. Divorce? – Divorce can be painful, marked by shattered dreams, dashed hopes, and uncertainty about the future. We can’t put your life back together. What we can do is buy your home and provide you with the peace of mind that comes with knowing that you are now free to get on with your life, without the worry and anxiety about where the money for the payment will come from. High Property Taxes? – Property taxes are skyrocketing as local taxing bodies look for new ways to generate funds. Interest rate re-set? – Millions are facing payments they can no longer afford as rates re-set on variable rate mortgages. Death in the family? – A death in the family can create, not only emotional distress, but sometimes also a large financial burden, especially when it results in a loss of income. If death has touched your family, you need time to recover and find your bearings. Tired of being a landlord? – Bad tenants, broken toilets and vacant properties can be a huge headache. If any of these situations (or others) apply to you, we can help. Plus, we’ll handle all the details and the paperwork. Selling your house is a time of change, but it doesn’t have to be a stressful time. We’ll take the worry, the stress, and the complexity out of the process. Regardless of the age or condition of your home, we can buy it fast! © 2019 My Home Finders, LLC. All Rights Reserved.